ModSecurity performs real-time web application monitoring, logging and access control. It can also reduce Apache’s attack surface by narrowing down HTTP features the server is willing to accept. ## Most users will use the signatures from the OWASP Core Rule Set (CRS). ## For configuration instructions, see /usr/local/share/doc/mod_security2/README. ModSecurity for Apache/2.9.1 (http://www.modsecurity.org/) configured. ModSecurity: APR compiled version="1.5.2"; loaded version="1.5.2"
ModSecurity: PCRE compiled version="8.39 "; loaded version="8.39 2016-06-14"
ModSecurity requires firewall rule definitions. Most people use the OWASP ModSecurity Core Rule Set (CRS). The easiest way to track the OWASP CRS repository right now is to use Git. Let’s make a directory for all our ModSecurity related stuff, and clone the CRS repository under it. At this point, it is wise to check the functionality of your web sites to ensure ModSecurity is not preventing any legitimate actions. If there are any false positives, custom exceptions/rules written can mitigate the offending behavior. Additionally, monitor https-error.log and modsec_audit.log in /var/log to view any potential false positives. As with any service running on a server, it’s imperative to monitor the log files. Also, proper log file rotation is essential to managing the amount of data collected. FreeBSD’s log manager – newsyslog is designed to rotate various log files for the operating systems. Newsyslog allows one to include a file to pull in additional entries. Please review the man page for newsyslog(8). 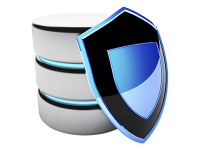 ModSecurity is a powerful application layer firewall for the venerable Apache web server. It provides real-time application security monitoring and access control as well as full HTTP traffic logging. With the OWASP ModSecurity Core Rule Set (CRS), it is ready to use right out-of-the-box. CRS also provides default rule sets for both Drupal and WordPress which comes in quite handy for site using these popular frameworks. Placing ModSecurity in monitoring mode is an excellent resource for System Administrators to monitor traffic and make corrective actions.